Today in the Yoga For Weight Loss Series, we strengthen and lengthen the body in a vinyasa flow practice. Who said a workout has to be harsh and unloving? Let’s see if we can marry our breath and our bodies together in a way that feels good. Work out! Bliss OUT! This was so restorative. Thank you! I worked up a sweat but loved every calming minute of it. You’re awesome, Adriene! This is my new favorite video! Thanks Adriene! According to the film’s Facebook page, Haddie will be shot in Arkansas, Louisiana and Florida. ‘I am happy because you saw it’. This practice was fantastic! Thank you so much for this strong, fiery flow. It was just what I needed! The connection to the breath was crucial. And your new spot is delightful! Thankyou very much for posting this video. it has been a long time since i last excercised, but it didn’t make me feel inferior or bad about myself. i felt welcomed and just very good. Dear Adriene, thank you so much for what you do. This Love Yoga flow was much needed this evening and has left me feeling rested and alive. I am seriously grateful for what you give to the wider community. Loved this flow! Thank you for existing! It was a wonderful work out today! I suffer from chronic depression, never wanted to get up in the morning! You have changed that for me! Thank you soo much!! I have been to some yoga classes to make sure that my postures are ok and my instructor said that the videos I have been watching must be very thorough as she didn’t have to correct me, I even managed head stands…. If you ever in Thailand and you want to learn to scuba dive I’m ya girl….. Your wonderful leadership teaching first time yoga has been a God send. I was limping with an injured hip and chronic lower back pain, with your strength stretching exercises I am walking with pretty much a normal gait. I have been through your 30 day yoga and look forward to your weekly free videos. I have learned to take it slow, enjoying when in a stretch or burning-gaining streghth, what feels good-oh to include the vinyasas. I pray for your continued success. I am sure there are many others like me that feel the same way. I just wanted you to know that you have really helped this girl out immensely. LOVE this practise!! Just what I needed this morning when my two year old daughter was down for her nap!!! Can you tell me where you got the leggings that you’re wearing in the above video? Someone else posted this, but I LOVE those leggings and would love to know where you got them :). All of your videos are fantastic and I very much enjoy following them and getting better at my practice. I’m fairly new to yoga, actually I think I was just bored one day and somehow came across your videos. Anyways I have been doing yoga everyday since, and my nine year old brother has now become fascinated watching me do weird balancing poses and binds… SO I was wondering if it would be possible for you to do a short yoga for kids video (the other ones out there aren’t super great), maybe with some lions breath since he found that hilarious to watch me do. Thanks Adriene, with yoga-love from Holland! I am fairly new to yoga. Gradually I begin to identify my muscles in the different positions and at times, even connect with breathing. This video, the pace, was a real challenge for me. I huffed and I puffed, a lot. So when you said “breathe in lot of love” and “breathe out lot of love”, I started to laugh. My own thought actually had been to get rid of little hatred on the exhale. Quite a mind blowing insight that still remains, a week later, hoovering/watching in my mind. Still, I have the love to give, although I rather feel like a swamptoad. Your generosity, your effort. The way you represent yourself. Your vocabulary gives me strength, vigor and new ideas, every day. I feel how I am growing and finds my way back, to myself and the person I want to be. If I was more confident and abel in my English and spelling, I surely would write all what you give every day with your swag and videos. Thank you. I love your yoga sessions. You look like really nice person and I can feel good energy from you and from your classes. I am very happy for these lessons, because I am mum of 4 years old Megan and sometimes I have no time for exercise somewhere outside. I just love your yoga videos!! !they are so amazing and inspirational and you are a great teacher and i just love your sense of humor !!! I started doing yoga last month and have seen so much changes in myself…. I really needed this video today, especially hearing , ‘Love in”. It was a beautiful practice outside on a fall day and brought me some time of MUCH needed peace. I adored this practice and I truly enjoy your personality through every video I have seen. I have never stopped to ask at the end of a practice “what is my body telling me?” until now. I laid there. And I asked. After a few moments I had the thought “forget what you were planning on staying up late to do and go to bed”. My body began to feel heavy and my mind calmed as if ready for sleep. So I am off to brush my teeth and then to my covers. Speak to me my body did. ❤️ Thank you for being you. Love Love Love this video! Loved the energy in the flow. Short story…. quit smoking, gained 50 lbs! Now i’m not only out of shape, but fat as well. Could only make it thru the first 15 minutes of this video, but will finish it later today and will practice every day. Yoga makes me feel so good. Thank you Adriene, can’t wait until Yoga Camp starts! ….. finished it! Feeling all wobbly and Jello-y, but so relaxed and happy. You’re the best, girl! Thank you for these videos It makes doing yoga at home fun and enjoyable! Dear Adrienne, i am 42, and i want to get in shape. Weighting loss is on the second line. Where do i should start? I am on day 8 on your yoga camp. Am i on the right way? I love your video thanks for making it! Thank you for a wonderful practice. I really enjoy your videos. You are awesome! I just got back from a hard day, did one of your sessions and now feel so much better. Thank you for your teaching and for generously sharing your videos with the everyone. I am enjoying Yoga with you, Adriene, Thank you very much. I just have a quick question about flow. My Mom and I are doing your yoga videos. We are over weight and we are making it happen. I always thought I was too big for yoga. Thank you for making this possible! 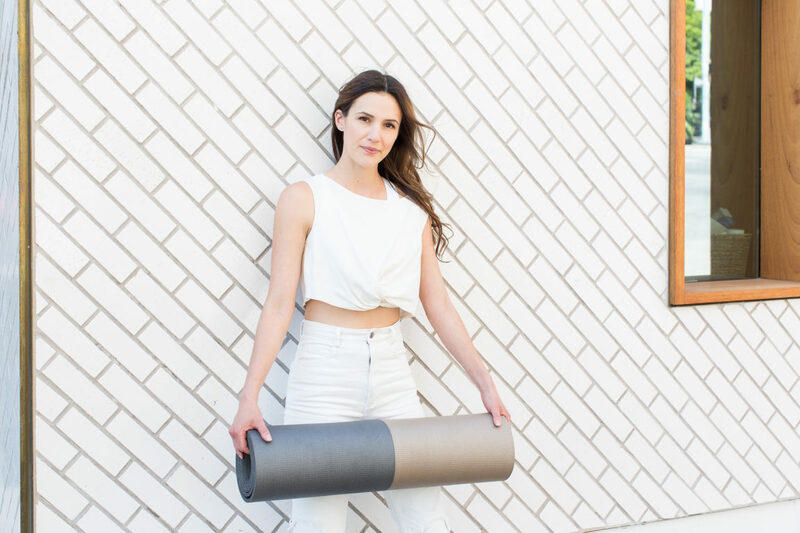 Hello guys,I just subscribed to Adrienne’s website,and just asking a silly question,wherethere she will be posting some exercises in her website? Thank you for leading me to a better life. Following, and fully practicing your Love Yoga Flow – Yoga for Weight Loss over the last four weeks has brought me so much. Yes, I’ve lost weight – 13.5 pounds and counting. I’m also watching my diet, but your Yoga is the bulk of my activity. Yes, I’ve increased strength, flexibility, and balance. I can touch my toes and then some! I can move, I’m regaining my youth! Yes, I have decreased pain. My back no longer hurts regularly. My neck and shoulder pain, which had been continual, is nearly gone (even hard to find, at times). My feet — a bane to ANY activity, walking, standing, my very existence — well, how can I even find the words? My feet are no longer torturing me. Sure, they get tired eventually, but eventually now means hours, not a couple of minutes! I can stand longer. I can walk with my wife. I am NOT an invalid! I have a long journey ahead still, but life is SO much better now. And you make me smile. And laugh. The joy with which you lead the sessions is something I didn’t know that I’d fall in love with. Thanks for brightening my days and for being the best start to my day. I am in your debt. Wonderful yoga! Very straight forward and easy to follow, but still challenging. Can you recommend a modification for the yoga squat position? Not sure what it is called. I was not able to get my feet flat without toppling over backwards. Thanks! I did this video yesterday and felt really good. But was worried since I wasn’t sweating and thought this wasn’t working for me. Boy was I wrong. I woke up this morning and my whole body is in aches and pains. Thank you for the practice Adriene. Woah, that got the circulation going, thank you from an energised shift worker! Fantastic Vid Adriene. Was trying to re-introduce Yoga into my daily routine and this was perfect. I’ll need to keep this on my list.